As you drive down your street or pass a villa with big green gardens, you can’t help thinking of building your own house, in your style. Perhaps, this is the one thing that you have dreamt of over and over again. 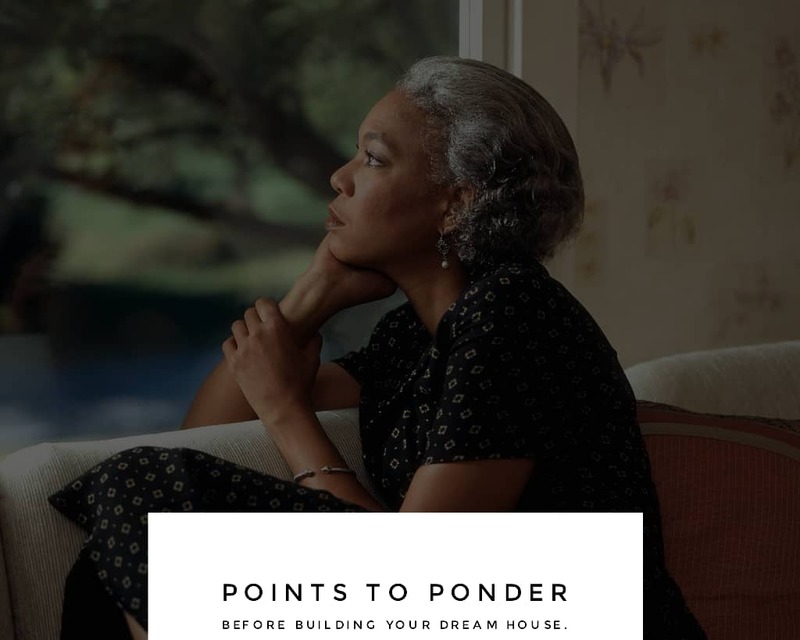 Practically speaking, turning your dream house into a visible reality requires striking the right balance between your future finances and your current needs. Starting your journey to a dream house requires lots of research, planning and much more. When it comes to purchasing a house, the first thing to consider is the price of the project. It is, however, necessary to have a look at the numbers to see if you can afford to build the home you have dreamt of. Consult a loan officer, in case of loans or mortgage. The loan officer will help you with a good amount of planning. He/she will help you to determine the exact loan amount you might qualify for. As you get to know the exact loan amount, you may discuss with your loan officer regarding the contingency provision that might be required. Once you are sure about what you can afford to proceed, purchase and decide the expenditure structure. There would be a master budget that covers the entire project…. However, it would be wise if you establish separate budgets for each task. For, each budget overhead, compare the cost you can afford for each expenditure and how it will fit in the overall plan. Get down deep into the details and segment everything that will go into the project – from the cost of the land, to cost of construction to furnishing, so on and so forth. Bonus tip – As there will be a long list of expenses to be made, ensure using a tool such as MS Excel where you can develop spreadsheets that could be updated as you work through the project. So, how do you know the value of your investment? One way is by knowing the future value. It is obvious that you build your dream home with lots of efforts and want to live there forever. Selling your dream house, perhaps, would be the last thing you choose to do. But circumstances might change and you might decide to sell it at some point in time. If you decide a tentative duration that you will stay for the next 10 years, you will be able to calculate the resale amount if you may curtail on expensive additions that are not that necessary and surpass the budget. Consider it this way that how a potential buyer would think of making a decision to purchase the specific house. Although it is a dream home, be realistic in your approach! If you don’t take a practical approach, your dream home could turn into a financial nightmare. Though building a new home is an amazing and a different experience altogether, things can be uncertain and the process can become challenging and stressful sometimes. keep in mind the fact that the views and opinions of you both may not be similar in many things. …. So, what is your plan B? It is obvious that things could go wrong and mishaps may take place in a complex project. But how you and your team approach it is important. making plans, getting the permits approved and parking the money. PLAN B becomes the gamechanger and now the only thing left to do is build your house! However, the way in which you and your team react to these hiccups will be important. When the team stays calm, addresses the issues and works in harmony to solve the problem, the project becomes a lot easier and smoother. Having a team of professional architect, builder, and other experts, who can work together and share ideas constructively will help you achieve the goals. And this is where having the right team in sync is another major determinant. Although you may think that you could do it all alone. But, turning your dream home into an exact reality requires expertise and professional guidance. A team professionals apply tried and tested methods, plan from experience and approach the project in a systematic manner. On the other hand, if you do it all by yourself, you might end up compromising on the quality and an extended duration for completion of the project. So, why not trust a group of professionals and leverage from their knowledge and expertise? The journey of building a home is not smooth. But these expert team members act as a guide, an advocate, and a counsellor throughout the process. They provide guidance from years of experience and their right guidance makes the project accurate and completed on time. So as you embark on this journey called ‘Building the dream home’, keep adding the expert team members, who can bring a successful completion to your project. Enjoy the adventure, the creation, the setbacks and the solutions you implement during the process. Lastly, you get the product of your constant planning and hard work – ‘Your dream home’. Enjoy the home of your dreams and as you do so, get a feel of each and every corner of your house. Create some memorable moments with your loved ones, play your favourite sports and incorporating your favourite settings. Discover how the house takes a prominent place in your life and shape you as a person. This is a place called your dream house and it is uniquely yours! Dheer Rana is a marketing manager at Shah and Talati. He has gained immense experience in the field of construction project management and actively shares project management-related tips and views. Shah and Talati provide structural design consultancy and project management services.